Marriage: 9 Aug 1841 in Bond Co., Ill.
Death: Abt. 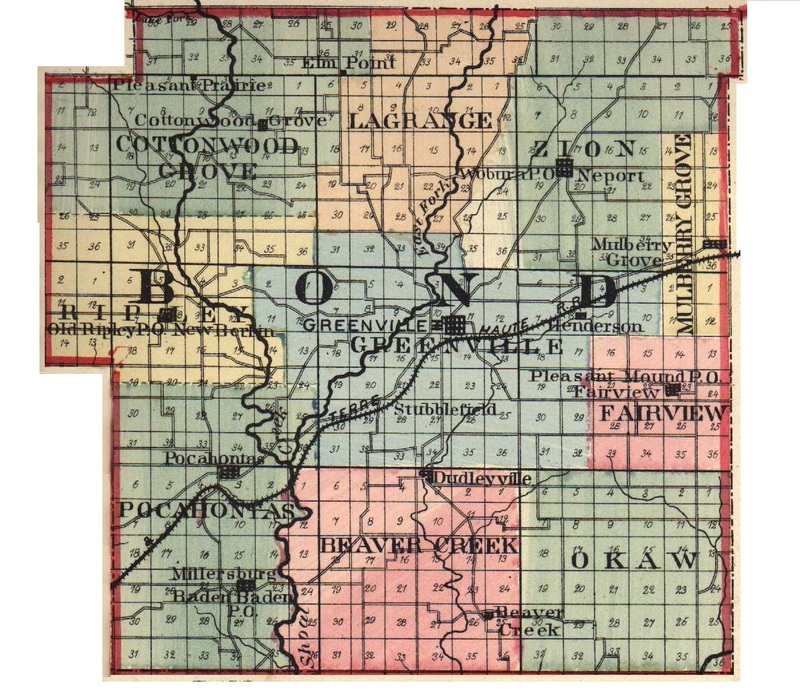 1849 in Fayette Or Bond Co., Ill. Birth: 1 Jun 1842 in Mulberry Grove, Bond Co., Ill.
Death: 20 Aug 1847 in Mulberry Grove, Bond Co., Ill. Birth: 3 Oct 1843 in Mulberry Grove, Bond, Ill.
Death: 29 Apr 1928 in Fort Dodge, Ford, Kan. Birth: 27 Mar 1845 in Mulberry Grove, Bond, Ill.
Death: 14 Dec 1918 in Tulsa, Tulsa, Okla. Marriage: 12 Mar 1866 in Greenville, Bond, Ill. Birth: 5 Aug 1846 in Mulberry Grove, Bond, Ill. Marriage: 18 Dec 1866 in Carlenville, Macoupin, Ill. Birth: Abt. 1849 in Mulberry Grove, Bond, Ill. Marriage: 23 Aug 1866 in Vandalia, Fayette, Ill.
Death: 1 Jan 1916 in Wekiwa, Tulsa, Okla. Marriage: 30 Apr 1865 in Vandalia, Fayette, Ill.
Sources: Obits for Madison D. and Ann Eliza STOUT. IGI records and 1860 census records.